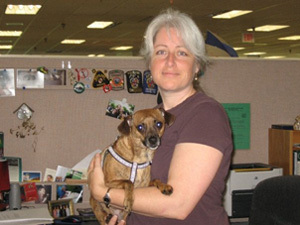 Experienced animal control officer, shelter supervisor and former veterinary assistant, Diana Culp, has a master’s degree in psychology and is the former Director of Education for the Humane Society of the United States. She currently teaches at the East Coast Animal Control Training Academy and is an adjunct professor for Duquesne University’s Humane Leadership bachelor of science program. Diana lives on a small farm in Maryland where she rehabilitates rabies vector wildlife species through a permit from the Department of Natural Resources. You can also find her at pethelp.net and Puppy Mill Alternative on Facebook.